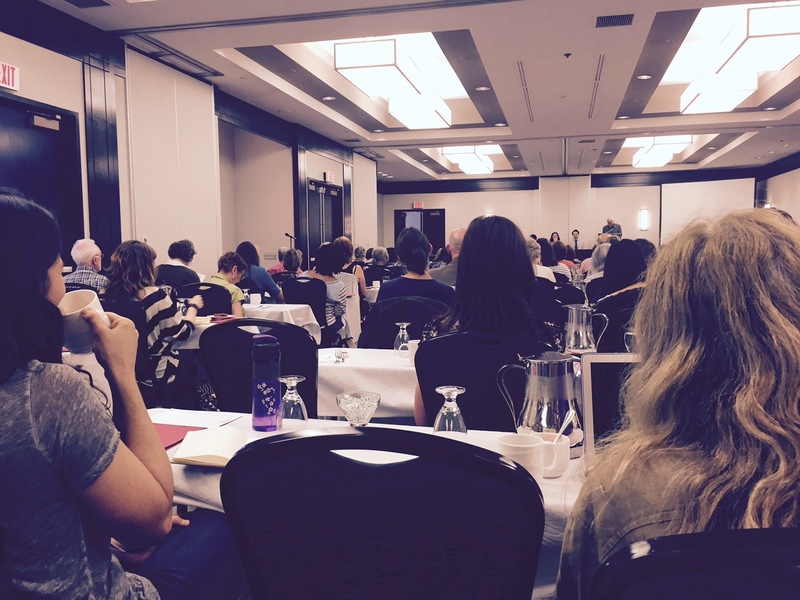 I spent the weekend in Pittsburgh reconnecting with a friend of mine and while I was there we attended the Saturday portion of the Creative Nonfiction Writers’ Conference. At the registration table they told me that about 175 people attend from most major cities as well as a high concentration of people from the Pittsburgh area. I’ve been a subscriber to the organization’s literary magazine for years and have submitted work that unfortunately (or fortunately, depending on how you look at it) hasn’t been accepted for publication. Be that as it may, I was pleased to finally meet the people who produce the literary magazines and blogs that have been a part of my life for many years. During the morning session on how to get published, agents, authors, editors and freelance writers discussed the value of a writer having a blog. I found much of what was said useful even though I’m writing fiction. Much of the advice is transferable. Here are remarks from Jason Bittel, writer for the Species Watch column of Earthwire, Kristina Marusic, editorial assistant for Creative Nonfiction magazine and a coordinator for the annual writers’ conference, and Emily Loose, an independent literary agent, who in the past worked as an acquisitions editor for some of the top New York publishing houses. Lee Gutkind, “The Godfather of creative nonfiction” moderated. Jason: Definitely yes. The best thing for you when you are pitching your book project is to blog. Strut your stuff. Kristina: Having a blog is a great way to prove you can craft a compelling story. If you don’t have lots of clips, or publications, your blog can show what you can do. It’s also a great way to build a community and talk to other writers. Emily: A blog is not time away from your work. It’s synergistic. The publishing industry wants you to make a brand for yourself. We think about the author’s brand constantly as we’re going about getting works published. Lee: It’s not just your writing that you’re showing off in a blog, you are shamelessly showing off what you know. You are branding yourself and showing your special knowledge and skills. You’re not just a great writer, you have great evidence of all kinds of things. So there you have it. A blog can definitely be worth your time as a writer. Hopefully this blog will offer dividends when I’m ready to shop my novel around for an agent. 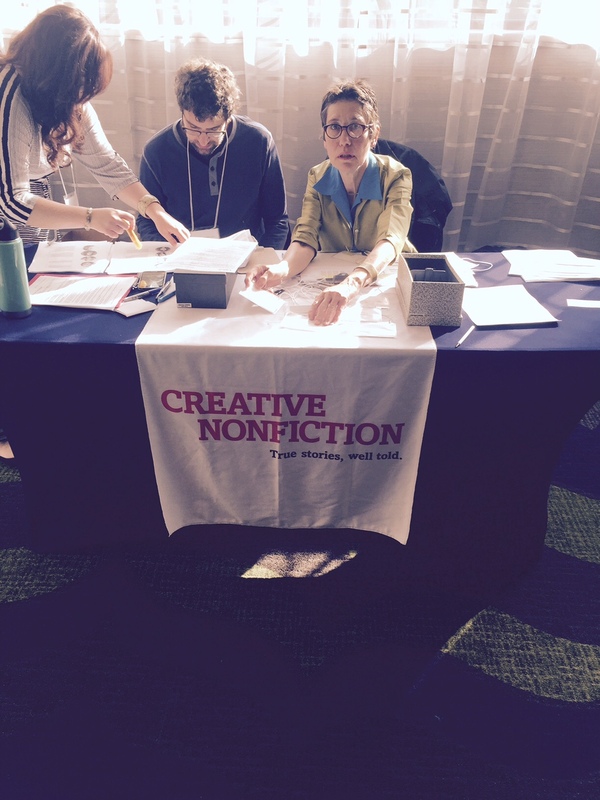 I’ll share more from the Creative Nonfiction Writers’ Conference in upcoming posts. This entry was posted in Blog, Creative Nonfiction, Manuscript, Publishing, Writing and tagged blog, branding, Creative Nonfiction, Creative Nonfiction Writers' Conference, Emily Loose, Jason Bittel, Kristina Marusic, Lee Gutkind. Bookmark the permalink. Once more: I’m so glad to be back. I am home.